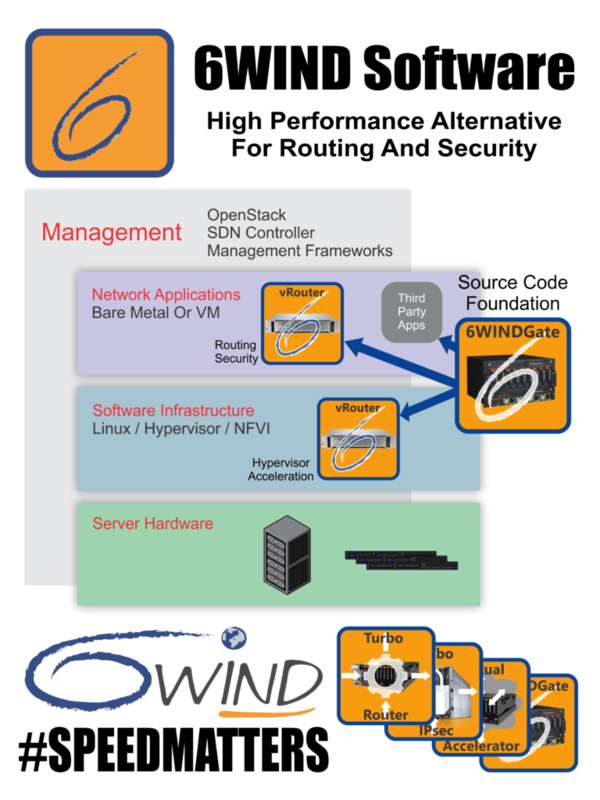 6WIND leads the market in high performance networking software. Our mission is to give Service Providers, Enterprises and OEM customers a software alternative to expensive hardware routers, security gateways, and other proprietary networking equipment. We provide the performance required to run routing and security in our software on white box servers, giving customers their independence from expensive networking hardware for over a decade. All 6WIND products are built using 6WINDGate for industry-leading performance. 6WINDGate is the source code foundation for market leading applications from AT&T, Cisco, Mavenir, NEC and many more.